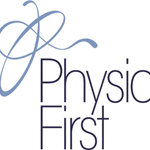 Our physiotherapists are educated in injury diagnosis and also in exercise physiology and the science of exercise. This enables your physiotherapist to not only assess and diagnose your injury but also to prescribe injury, fitness or age-appropriate exercises targeted to you at that point in time. Our aim is to manage your sporting injury in the shortest possible time. Whilst based at Hart Leisure Centre we treated a range of amateur athletes with a wide range of sporting interests. It is important that your exercises should not be painful. The belief that the more painful the better is not the best for your body or injury. In fact, research does inform us that pain inhibits muscles from performing to their optimum. This argues the case that painful exercise is actually counter-productive. Our team will take the time to thoroughly examine you and prescribe a series of exercises suitable for you in quantities that will not injure you further. The exercises prescribed will usually be relatively simple, and do not require any special weights equipment, and can be performed safely at home. If you stop exercising we know that certain muscles can become weak. When these supporting muscles are weak, your injured structures are inadequately supported and predispose you to lingering symptoms or further injury. You can also over-activate adjacent muscles that may lead to further injury. We will also apply our technical expertise when it comes to helping patients with warm-up and training advice. Treatments available are varied however may include ultrasound, strapping/kinesio tapping and sometimes acupuncture. We will work with each individual to provide a diagnosis and treatment plan specific to each patient. All treatment plans are discussed with each patient, goals set and agreement reached prior to treatment taking place. For many athletes, manual therapy can provide a great deal of relief from many injuries, allowing them to exert themselves or just move normally without feeling too much pain. Unfortunately, manual therapy on its own only goes so far towards providing lasting relief from an injury. To supplement the amount of lasting relief provided by manual therapy, it is a good idea to use athletic taping around the injured area of the body. Restricting the motion of that injured joint or muscle gives it more time to heal while the amount of pain felt in that area is drastically reduced. There are a number of other applications of athletic tape that can also promote a faster and less painful recovery such as being used as a splint or as a means of supporting a more substantial splint, supporting a person’s anatomical structure to prevent further injury, or to compress soft tissues to prevent excessive swelling. The use of athletic tape alone can help reduce the risk and the severity of injuries, particularly in contact sports such as football and hockey and sports that require an athlete to make sudden, rapid movements and pivots such as ultimate frisbee, soccer, and basketball. It is also effective at profoundly reducing the amount of injuries suffered in virtually any other sport. During sport participation, taping can allow the athlete to continue to play with minor injuries. Taping is particularly useful as a means of reducing the symptoms of injuries that cause chronic pain such as shin splints, patello-femoral pain syndrome, turf toe and hyper-mobile thumb. For athletic tape to be most effective, it is advisable to have a physiotherapist or experienced sports trainer apply the tape along with manual therapy to speed the healing process.